When Orlando Pirates conquered in Africa in 1995, the song Thina lomhlaba siwu gezile brought the country to its feet as the nation saluted the newly crowned continental champions. The former Nigerian international goalkeeper joined Orlando Pirates in 1993 and played every single minute in the 1995 CAF Champions Cup – 10 starts and kept six clean sheets. Despite conceding two goals in the first leg of the Final, from his fellow countrymen John Zaki and Donald Sie, Okpara bounced back and played the game of his life in Abidjan where he stood between defeat and victory. Orlando Pirates beat Asec Abidjan 1-0 and 3-2 on aggregate. This year Okpara, who is now team manager, will be celebrating 20 years at Orlando Pirates. Shiburi will always be remembered for winning three winners medals with Orlando Pirates without playing a single minute. Shiburi owns a 1994 League winners' medal, a 1995 CAF Champions Cup medal and 1996 African Super Cup momento after Pirates beat JS Kabylie from Algeria 1-0. The goalkeeper was promoted to the Orlando Pirates first team after coming through the Chibuku development centre, headed by Ted Dumitru. ‘Shooooooooooooooooooooooz’ was the sound coming from the Orlando Pirates fans whenever the hard-tacking player was on the ball. Lushozi was a prominent figure in the early stages of the competition under Mike Makaab, making four appearances. With 13 minutes remaining in the second leg of the Final against Asec Abidjan, Shooz was brought on by coach Ronald Mkhandawire and given the license “to destroy anything” in the middle of the park, and did his job well. Playing alongside 21-year-old Mark Fish at the heart of the Orlando Pirates defence, ‘Stability Unit’ performed his duties with aplomb. Lane played in all 10 matches, scoring three vital goals. After opening his account against Eleven Men in Flight in the first round, second leg, Lane’s second goal against Express from Uganda sent the Buccaneers to the Final. Pirates won the first leg 1-0 at home. In the second leg played in Kampala, Express took the lead through Arinatwe. With an aggregate score 1-1 and one minute before the match went to extra time, Lane came out of nowhere to head a winning goal with a minute to go, taking the Buccaneers to a historic Final. 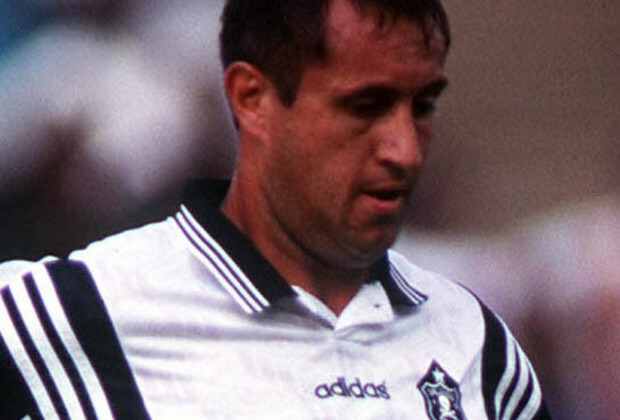 Despite being in his early 20s, Fish came to Orlando Prates with continental experience having played for Jomo Cosmos when they reached the 1993 CAF Cup Winners Cup. Fish started the competition playing alongside Lane before missing both second round matches against Nigerian side BCC Lions. After winning the CAF Champions Cup, 'Fishy' captained Orlando Pirates when they beat JS Kabylie in the Super Cup before joining Italian giants Lazio. The speedy right-back made his name at Moroka Swallows before joining Orlando Pirates. After Joe Frickleton took over the coaching reins from Mike Makaab, Tsotetsi was handed his Champions Cup debut in the quarter-final, first leg away to Mbilinga in Gabon. In that match he played alongside Fish, Lane and Edward Motale. The defender went to play three more matches, including both first and second leg Final fixtures against Asec Abidjan. After leaving Pirates, Tsotetsi went on to play for AmaZulu where he suffered a bad ankle break and retired. Mabuza was a solid Orlando Pirates fullback who hardly got any media attention. With Edward Motale overlapping on the left, ’21 Jump Street’ kept the shape at the back. The player’s career ended tragically following a car accident. The skilful midfielder came on as substitute for Bruce Ramokadi in the first match against Eleven Men in Flight of Swaziland. In the same year Zwane joined Portuguese side FC Porto where a young Jose Mourinho was assistant coach to Sir Bobby Robson. With captain Innocent Mcwango sent off in the Final, first leg, Motale had the honour of lifting the trophy in Abidjan. The former Jomo Cosmos man was one of the few players who made 10 appearances in the competition. After leaving Orlando Pirates, ‘Magents’ played for SuperSport United, Moroka Swallows, Ria Stars and First Division Avendale Athletic before hanging up his boots. Sokhela had a brief Orlando Pirates career and only made one appearance in CAF's premier club event, in the decisive leg of the Final. Sokhela, who joined from Bush Bucks, went on to achieve more success with Santos where he won the Bob Save Super Bowl and the League. 'Dungi' joined Orlando Pirates having won the 1991 JPS Cup with Dynamos. 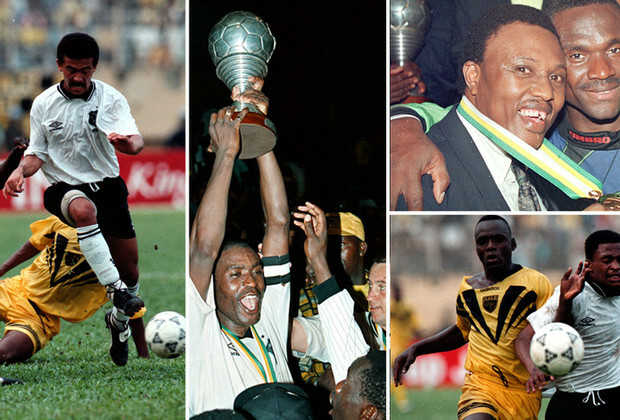 With the Buccaneers his career took off and he became one of the most respected figures in South African football. After winning the Champions Cup, he went to play for SuperSport United before announcing his retirement in 2002, 12 years after making his professional debut. When Orlando Pirates campaigned in Africa, the Orlando Pirates legend was at the twilight of his career. 'Botsotso' only played against Eleven Men in Flight and BCC Lions. The Orlando Pirates crowd darling played in the earlier round matches against Eleven Men in Flight and BCC Lions before joining Colombian side Once Caldas before the end of the year. Following a tug-of-war with Kaizer Chiefs, Dumisa Ngobe finally joined Orlando Pirates and played in the quarter-finals, semi-finals and the first leg of the Final. After getting sent off in the Final, first leg, Orlando Pirates captain Mncwango missed out on lifting the trophy. The former Jomo Cosmos player formed a formidable midfield partnership with Moeti and Ngobe. Alongside Fish and Mncwango, ‘Midnight Express’ was in the Jomo Cosmos team that played in the 1993 Cup Winners Cup. In the Champions Cup Final, first leg, he opened the scoring. Having made his professional debut for Vaal Reefs Stars in 1992, Silent went on to become a crowd favourite with Orlando Pirates fans. ‘Sgcebhezana’s goal against Mbilinga ranks as one of the best goals he ever scored. In the 1995 CAF Champions Cup he only missed one match, against Eleven Men in Flight. The former Wits University striker started the first leg of the Final against Asec but lost his place to Bruce Ramokadi in the second leg, although he came on as a substitute. Those were the only two matches ‘Batch’ played for Pirates in Africa that season. The winning goal against Asec Abidjan in the Final was enough to put Sikhosana’s name in the history books of the Buccaneers. Having joined Orlando Pirates after winning the 1993 Bob Save Super Bowl with Witbank Aces, Skosana’s career went to greater heights at Bucs. 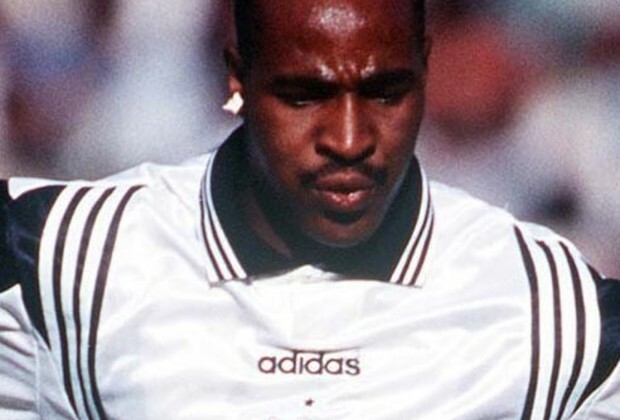 The son of former Kaizer Chiefs goalkeeper Joseph ‘Banks’ Sethlodi, Bruce was a 20-year-old up-and-coming youngster when Orlando Pirates took on Africa in 1995. Competing with the likes of Marks Maponyane, Skosana and Bachelor for a place in the team was not easy for Ramokadi, and four starts and six substitute appearances was more than what the player could have hoped for. 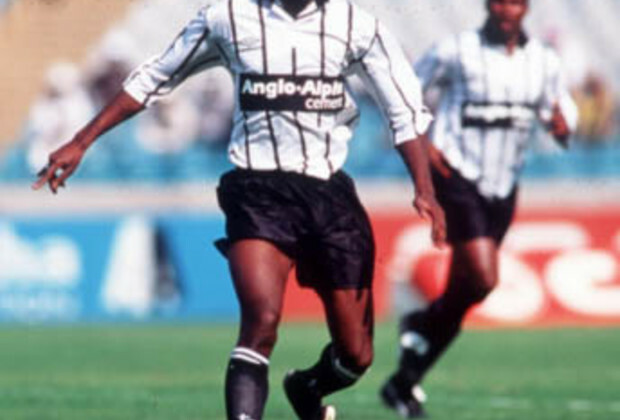 When ‘Go-man-go’ joined Orlando Pirates from Dynamos in 1993, he was already written off as a ‘has been’. But his goalscoring form in 1994 led Orlando Pirates to their first League title since 1974. 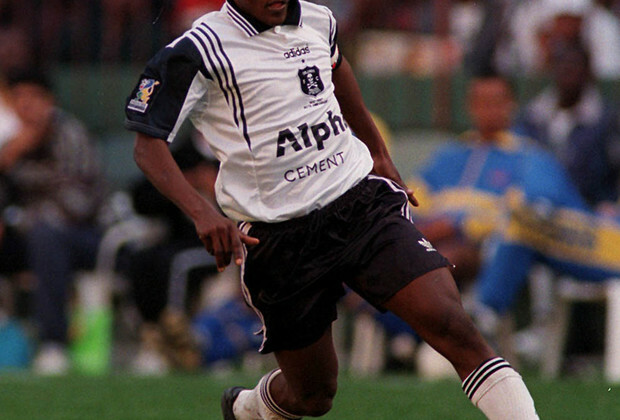 Maponyane scored two goals in Orlando Pirates’ road to the 1995 CAF Champions Cup Final. 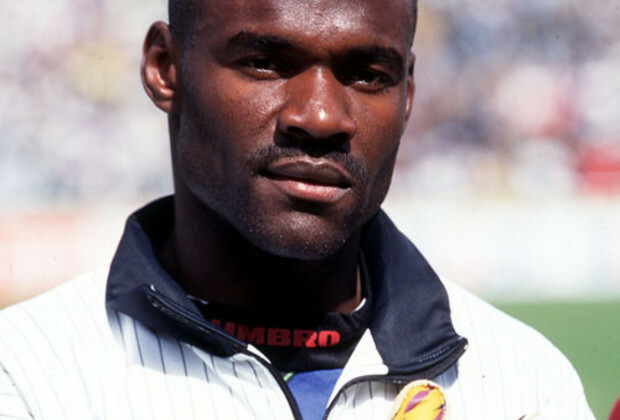 In the 1996/97 season he joined Wits before announcing his retirement.